Usually, people think that the only way to make a nice amount of money in crypto is to buy them in the lower price and sell them when the price rises. However, there are hundreds of other smart ways to earn money in the crypto space. Dividend paying cryptocurrencies are becoming a dominant, emerging trend because they offer a hint of sustainability and real value. Before going through the list of 8 best cryptocurrency projects that offer some form of a dividend, I would like to explain what the dividends exactly are and how you can earn them. Dividends provide an income without investors having to touch the underlying capital or asset, which makes them an extremely attractive income option for investors. Dividends can be issued in various forms, such as cash payment, shares of stock or any other form. And when the similar concept of profit sharing is done by various cryptocurrencycompanies, it is termed crypto dividends, which seems to be increasingly common among altcoins. It’s important to note that this is different from airdrops. Cryptocurrency airdrops are free giveaways of pre-mined coins to the blockchain community and they usually occur after the blockchain startup has finished its ICO and the token is available for trade in the open market. Mining and Masternodes are services essential to the token they service, and these functions are just servicing and are not in themselves a profit. Crypto tokens that need only program the issuance of new tokens from Mining or Masternodes are not creating dividends. Dividends are the result of profit and in essence, they are the difference between the cost of a business and its revenues. Revenues are payments received from other localities for shared capital project costs. The token creation system of a token is not a form of profit. It serves the important function of securing the network and fulfilling the specification of the coin, and the important difference between crypto dividends and minting new tokens, is that crypto dividends are actually a sign of long-term sustainability of an ecosystem creating value. To generate revenue a service that has results has to be offered, to generate a profit the cost of its inputs must be less than the revenue received for the output. The value created needs to be competitive and sustainable in order to have sustainable long term crypto-dividends. There are different ways to earn passive income from crypto coins or tokens, but these differ from currency to currency because each has its own way of operating and has its own rules and regulations. A number of cryptocurrency projects offer some form of a dividend. Usually, you hold a certain amount of the tokens in a compatible wallet, and then each designated dividend period (between every day, to every quarter), a deposit is made to your account that holds the coins. It’s extremely important to make sure you use the right type of wallet because if you keep your coins on a crypto exchange, the exchange will probably get the rewards instead of you. Staking – Holding a Proof-of-Stake (PoS) coin in a special wallet (usually the official wallet of the currency) and getting payouts for the length of time you hold. HOLDing – Purchasing and holding a cryptocurrency in any crypto wallet. Based on these different types, I am listing a few cryptos that have bright future and that are, in my opinion, worth holding. NEO is a popular cryptocurrency that supports smart-contracts and has been referred to as the “Chinese Ethereum” as it provides similar functionality, including support for DAPPS and ICOs. This platform is being developed by Onchain, a Shanghai-based company, which started out life as “Antshares” and just recently went through a rebrand to become known as NEO. Alongside the coin “NEO” there is another one called “GAS,” which can be staked in an NEO wallet for a nice return. To receive the GAS you must hold your NEO in a wallet and not on an exchange (except Binance and Kucoin that let you stake them), but only a few wallets let you claim the GAS. That’s why it’s very important to pick the right wallet to get the GAS as dividends from the official website here. One more thing worth noting is that it doesn’t require you to keep your staking wallets open at all times like in other Proof-of-Stake cryptocurrencies. The return one earns is in the form of NeoGAS, which is a unique reward paid by NEO to investors that are holding NEO coins. At the time of writing this article, NeoGAS is worth $44.5. Here is our full guide on NEO and another one gas. NEO stakers can expect an annual return between 4-6%. For a more accurate earnings estimate, see the NEO staking calculator. The VeChain Token (VET) is designed for companies as the smart payment currency to run business activities on the blockchain. During the transition period, the companies that hold more VET will be given higher priority and more rights on the new VeChain Thor blockchain. applications on the blockchain. This is similar to the way NEO produces the GAS token for its holders. Read our beginner’s guide about VEN/VET. 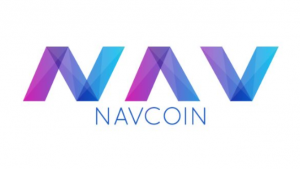 NavCoin is a PoS fork of Bitcoin, created back in 2014. You only need to keep your coins in a Core Wallet that is very lightweight and can be done via Raspberry Pi. The rewards are around 5% annually which is not much but since the process is literally just set and forget, it is still a nice boost for your budget with almost no effort. For a more precise estimate, see the NAV staking calculator. ARK pays up to 10% dividends on coins when you stake them and vote for one of the 51 delegates. These dividends are paid out every few days (or sometimes daily) so you’re getting instant growth in your tokens. There will be a total of 128,694,286 Ark Coins. Currently, 97,444,286 of these are in circulation, with Ark using the delegated Proof of Stake. Staking RDD is a very user-friendly process – download the Reddcoin Core wallet and load your private keys into the wallet. After the 8 hours waiting time, you will start staking and earning your RDD. Approximate rewards float around 5% per annum. Based in Hong-Kong, KuCoin is a world-class blockchain asset exchange that pays out 90% of daily exchange fees to their token-holders. The exchange was launched in mid-2017 and is a relatively recent arrival in the world of cryptocurrency exchanges. However, the founding members explored and researched various possibilities as early as 2011. I think KuCoin will be massive in 2018 due to its business model and marketing push. At the time of writing, the daily volume is just 4,622.37 BTC (equivalent to 65,549,835.96 USD), but with the launch of promised features, such as the ability to add trading pairs, the daily volume should quickly grow to a dramatic extent, allowing KuCoin to reach its goal for the end of 2018. 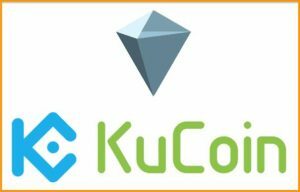 KuCoin offers its own token KCS (KuCoin Shares), which has a total volume at issuance of 200 million, and uses it in a similar way to Binance. However, their mechanism of rewarding its holders is different from Binance. By holding Kucoin Shares on the exchange, you are entitled and bestowed upon a DAILY bonus called KuCoin Bonus. KCS holders receive 50% of the overall trading fees generated currently, proportional to the number of tokens owned, which means that if the volume and amount of coins traded increases on KuCoin exchange, the bonus of holding the KuCoin Shares will increase as well. 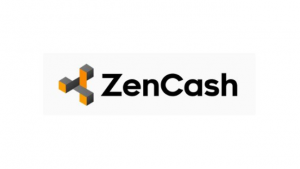 Masternodes in ZenCash ecosystem are called Secure Nodes. There are two types of Secure Nodes – A-Secure Nodes and B-Secure Nodes. The difference is in the amount of coins you need to own for staking and in the reward percentage you get from blockrewards. A-SecureNodes require 42 ZEN and will give you a 3.5% share of blockreward. Faced with the issue of quickly diminishing returns for node operators due to the rapid growth of the community, the Zen team recently decided to implement a brand new reward scheme. Under this new system, secure node operators now share 10% of the total mining reward. BridgeCoin is a scrypt-compatible coin that was created in July 2017 as the native token of a new and popular decentralized exchange called CryptoBridge DEX. This coin was created in order to finance the development of the decentralized exchange. BridgeCoin promises advantages like high liquidity and convertibility, fast transaction, a multi-platform support and guaranteed scaling. It was developed by a highly trained international team that wanted to bridge the gap between different types of cryptos in many aspects, including their levels of scaling, arbitrage, liquidity and price discovery, among other factors. BridgeCoin is designed to share revenue with its holders and its central purpose is to give the owner of the coin the opportunity to stake it and thereby become a part “owner” of the cryptobridge DEX and share in 50% trading revenue. I like this idea more simply because of the reason that it has a decent revenue sharing model and that it is a decentralized exchange. DigixDAO is a gold vault services firm and was the first Ethereum-based token that started paying dividends. The Digix Gold Tokens (DGX) are asset-backed Ethereum tokens and each token represents a share of the gold stored. The dividends will come from fees of storage of the gold, and this fee, in the form of earnings of the DigixDAO, is distributed to the DIGIX token holders. It’s important to note that DigixDAO has a full backing of gold in its vault, which requires costs to maintain, audits, insurance, etc. In January and February 2018, on a day when Bitcoin saw market reductions of -15% and Ethereum saw -20% reductions, DigixDAO has managed to actually grow more than 50% and is the only cryptocurrency in the top 100 (by market cap) not in the red. PIVX (Private Instant Verified Transaction) is an open-source, decentralized cryptocurrency that is trying to be anonymous by applying Zerocoin protocol. PIVX is forked from DASH and is attempting to build a usable digital means of exchange that is easy to spend privately and securely in everyday life. And just like almost all PoS crypto, it also has its staking model, which means that you can earn stakes while you sleep by holding your PIVX in a wallet. This model is super simple and pays decently for staking. It’s important to note that any amount of PIVX can be staked in the wallet. Also, a proposal was recently passed to give some voting rights to all stakers, which means that you don’t need to hold a full 10,000 PIVX to earn rewards and vote. Each block (every 60 seconds) a reward is released at random in chances proportional to the amount of coins being staked, but in this case, the wallets need to be open and online for a certain amount of time to claim the staking rewards. ICONOMI (ICN) is a crypto fund-management platform that offers investors a golden opportunity to get into the crypto world by index investing that is managed by experts. This platform will create and trade an index-fund like token and a hedge-fund like token. ICONOMI is a very ambitious project backed by a visionary team and it’s calling all the investors who dare to be part of this amazing ride. ICONOMI plans to purchase ICONOMI tokens on the open market and then burn them with the profits. In this way they will increase the value of the remaining tokens. The future plans also include a fund management system where experienced fund managers or seasoned traders will be given an ability to create a unique fund based on their preference. The list of staking coins keeps growing: Neblio, Nulls, PayFair, Ontology, Tezos, NavCoin, Particl, Decred etc. As you can see, there are quite a few ways to earn a cryptocurrency reward. Holding, staking and running masternodes in 2018 will really take off and through the use of these methods, it’s possible now to hold various cryptocurrencies and earn a relatively regular return by doing so.